UH Head Football Coach Kevin Sumlin was a standout speaker last year at the Bauer College Alumni Association monthly networking breakfasts, and will make another visit to the event on Feb. 17. 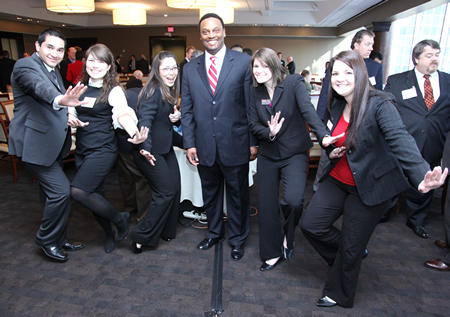 For the second time in as many years, University of Houston head football coach Kevin Sumlin will be the featured speaker at the Bauer College Alumni Association Monthly Networking Breakfast, slated for Feb. 17 at the Houston City Club. Sumlin took over as head coach in December 2007 and has been integral in bringing success to UH Football. Sumlin was the first UH coach in 28 years to lead the Cougars to a bowl victory in their fourth-straight bowl appearance in 2008’s Bell Helicopter Armed Forces Bowl. In 2009, the Cougars held a 10-3 record, with three student athletes receiving significant accolades under his leadership — quarterback Case Keenum won Conference USA MVP, wide receiver James Cleveland won Conference USA Newcomer of the Year, and running back Charles Sims won Conference USA Freshman of the Year. 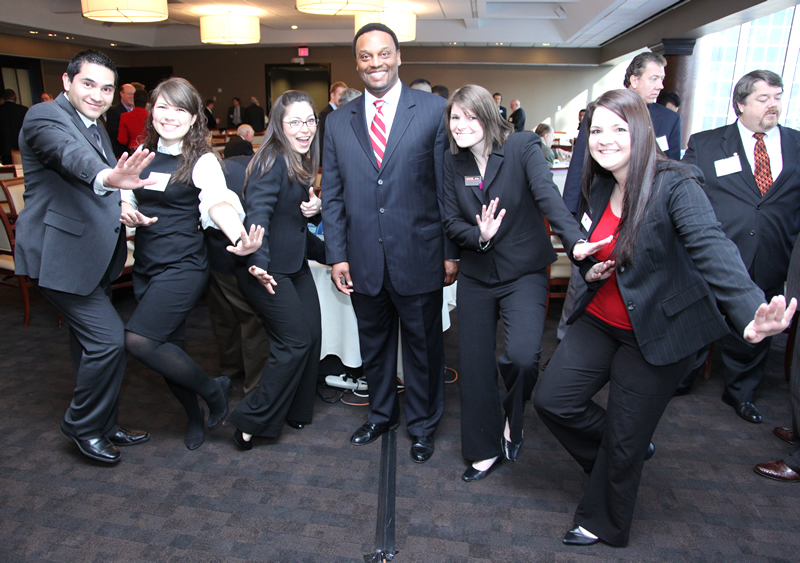 Click here to RSVP for the Feb. 17 BCAA Networking Breakfast featuring Sumlin. The BCAA has held its monthly networking breakfasts at the Houston City Club for the past two years and have hosted a number of distinguished and exceptional alumni, corporate partners, supporters, and some of Houston’s most engaging business leaders.